Patrick Henry Hughes was the most inspiring person all over world. 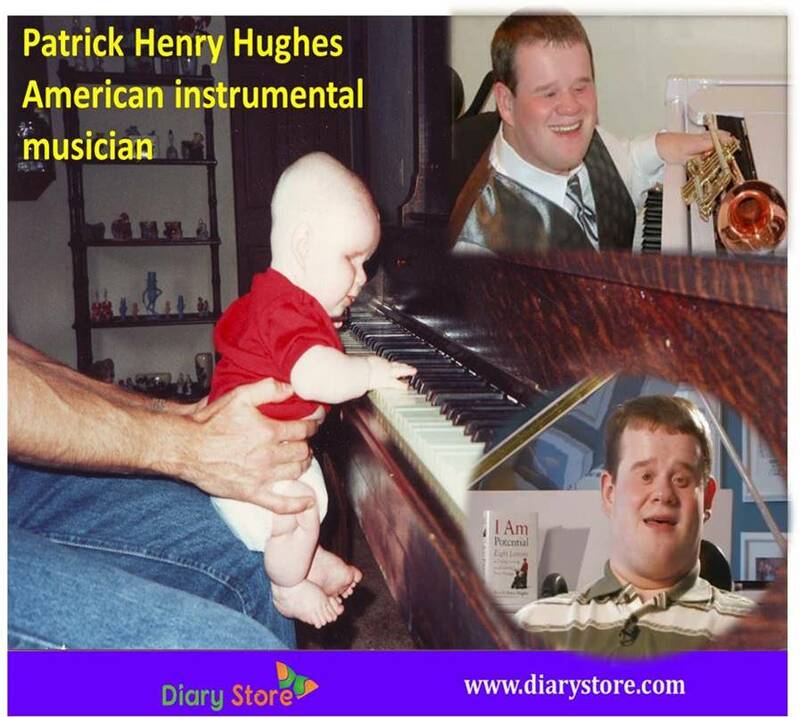 Patrick Henry Hughes is an American instrumental musician. Henry was born on 10th March, 1988 in Louisville Kentucky to Patrick John and Patricia Hughes. He was born without eyes and without the ability to fully straighten his arms and legs, thus making him unable to walk. Additionally, two steel rods were surgically attached to his spine to correct scoliosis. He has two younger brothers, Jesse and Cameron. When he was nine years old his father Patrick John, introduced him to the piano, later he also began the study of trumpet. Hughes graduated from Atherton High School, where he participated in the International Baccalaureate program and was a member of National Honor Society. He has graduated from the University of Louisville. Hughes National fame began on 2006, while he was a student at the University of Louisville. He joined the Louisville Marching Band after been suggested by its director, Dr. Greg Byrne. He played trumpet while his father pushed him in his wheelchair through the marching routines. This commitment started attracting the crowd and media attention and they featured in a variety of television and newspaper coverage. Because of fame, Patrick Henry was invited to play piano and sing in musical performances throughout the country. Hughes has appeared on many TV shows including ESPN, ABC-TV, Oprah, CBS-TV, The Ellen Show, Extreme Make over Home Edition, FOX-TV, CSTV, NBC-TV, The Today Show, Million Dollar Round Table, The Grand Ole Opry, People Magazine, Sports Illustrated, Star Magazine and many, many others. He is not only pianist, vocalist and trumpet player, he also wrote a book. “I Am Potential: Eight Lessons on Living, Loving, and Reaching Your Dreams.” This book was published and is available around the country and in different languages. His story is about to be released in 2015 and a movie called I Am Potential based on the true story of Patrick Henry Hughes was written and directed by Zach Meiners. “When the American spirit was in its youth, the language of America was different: Liberty, sir, was the primary object.